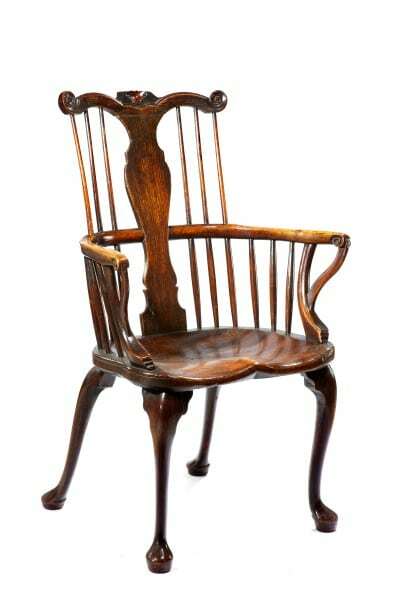 July’s ‘art in the furniture store’ exhibition will feature some fascinating chairs from my private collection, showing the development of form and style from the mid 18th century through to the present day, featuring chairs from different parts of the country, amongst which – some early comb back chairs, a ‘transitional’ hoop back chair with cabriole legs to the front and back and an extremely rare comb back child’s chair on high legs from the Thames Valley tradition, several childrens’ chairs of different styles and a ‘Giant’ Broad Arm Windsor from the Nottinghamshire tradition, a bold and beautiful comb back from Wales and more…these chairs will not be for sale, but we have gathered together an interesting selection of 19th century chairs which will be for sale! and friends new and old…. We are about to hold a special sale of ‘pre-owned’ furniture made by ourselves, at our Kidlington Warehouse. These are pieces that we have bought back from clients for various reasons – house move, change of style /size etc. Some pieces we have re-finished and some we are offering ‘as is’. Our last ’sale’ of theis type was over 3 years ago, so don’t miss out!! There are some bargains to be had!! 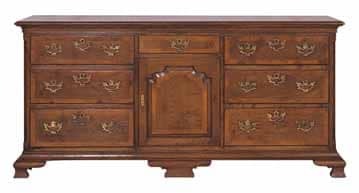 a list of pieces on offer will follow soon, but the sale includes: dining tables (oval and rectangular Refectory tables, Pilgrim tables, Farmhouse tables, Pedestal tables), occasional tables (sets of and individual chairs, including upholstered, Windsor and rush seated styles), dresser bases, dressers with rack above, bookcases, corner cupboards, antique furniture and chairs and more…. all laid out (phew) in a cleaner, tidier warehouse!! !…waiting for you…. all will be available to take away or for immediate delivery! Stationfield Industrial Estate is only 3 miles from Woodstock, on the Banbury Rd, Kidlington, next to the ‘Highwayman’ pub (formerly ‘The Wise Alderman’). Go to the back of the estate. Unit 12 is adjacent to Hunts Printing….anyone on the estate will know their location, but probably not ours as we have no signage, but will be putting up direction signs for the duration of the sale! I will be giving a talk at the party titled: ‘Period? late? new? fake??’. 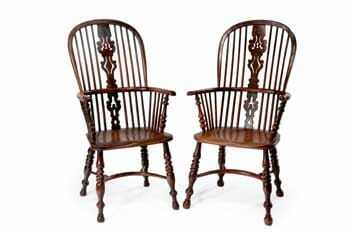 The exhibition will include chairs of mine that have recently been included in an important national exhibition of 18th century Windsor chairs at West Wycombe House as well as unusual examples from the mid 18th century through to the present day. We will be offering a good selection of chairs for sale as well.